There's much to learn from the female pioneers of PR. 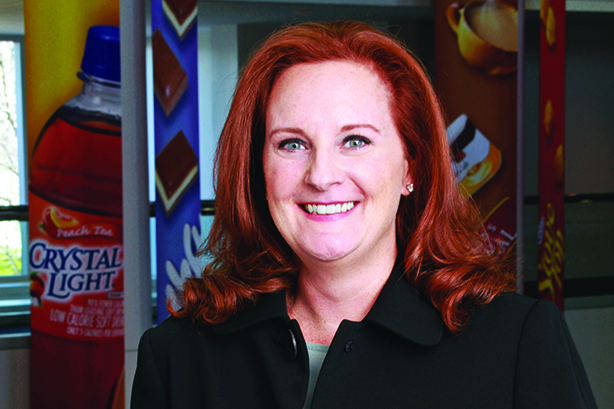 Perry Yeatman's career includes spells on the comms teams at Kraft Foods and Unilever. Let’s be honest. While PR attracts more than its fair share of female talent, there are still too few women at the top of our field as agency heads or chief communications officers. That’s not to say we’re not making progress. We are. When I was coming up through the ranks, I’d estimate 75% of the talent was female, but it was just the opposite at the top, with 75% male bosses versus 25% female. Today, based on PRWeek’s 2016 Power List, it’s a bit better, with 19 of the top 50 being female. But we’re far from parity, and if we can’t reach gender equality in a field where so much great female talent is readily available, how can we possibly hope to get there in fields where only 10% to 20% of the pipeline is female? There were interesting commonalties among those who made it to the top. The majority didn’t study communications or start out planning to be chief communications officers, and most changed organizations versus coming straight through the ranks. (On average, they had four employers on the way to the top spot). The majority changed industries and geographies along the way, and most worked at agencies before going in-house and held P&L as well as functional roles. In terms of their personal lives, most had kids, two on average; all were married but evenly split between their first spouse versus remarried. All were over 50, but first became chief communications officers in their late 30s or early 40s. All experienced some form of discrimination or bias on their way up—from being told they were too pretty to succeed to being lectured about bad parenting decisions in terms of working versus staying home. This was one resilient group of women. They’d heard it all and survived to tell the tales. And their experiences demonstrate that while it isn’t easy and there’s no single answer that works for everyone, you don’t have to give up family to get to the top in PR. Even more than the stats, what I took away from the interviews were five keys every professional woman should be thinking about for the best 2017 possible. Get comfortable raising your hand, taking more risks, and advocating for yourself. Not one of the chief communications officers I interviewed got where she did without a fair amount of moxie and just "going for it." Learn how to negotiate. While some individuals may be naturally better at it than others, everyone can learn to be a good negotiator. That’s important because there’s simply no way around it; savvy negotiation is required to get what you want in life and at work. Since all of the chief communications officers I interviewed were married, it’s no surprise they viewed picking the right partner as one of the most important factors influencing their success. Why? Because to succeed at work, you’re going to need help at home, even if you don’t have kids. So whether they bought help or married it, these women weren’t afraid to ask for the support they needed. If you aren’t doing it already, start investing in building and maintaining relationships with friends, mentors, and sponsors both within and beyond your day job. Most of the women I interviewed got ahead and survived the tough times by having strong personal and professional relationships and networks. So this isn’t a "nice to do;" it’s a "must do." If you haven’t had a P&L role, seek one. You need to be a businessperson as well as a communications professional. So, find a role, whether on a project or as a permanent position, that bolsters your business credentials. If you want a spot on the CEO’s team or you want to run an agency, you’re going to need to go toe-to-toe with business leaders as well as communications teams. My project of helping women uncover the insights and inspiration they need to create the careers and lives of their dreams is in its early days. However, I think there is much we can learn from the female PR pioneers that have come before us. Let’s put it to use to shatter the glass ceiling once and for all in this wonderful field we all love. Perry Yeatman is founder of Your Career, Your Terms and a former executive at Kraft Foods and Unilever.